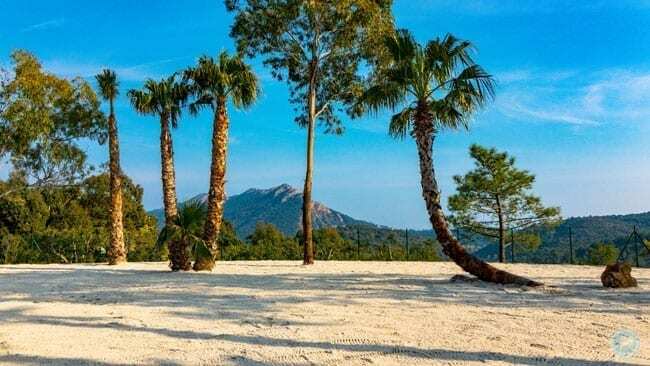 Esterel Caravaning : here is everything on the season 2019 ! 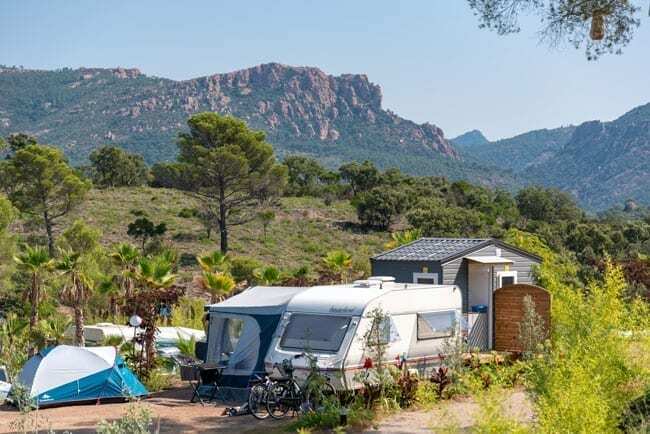 Esterel Caravaning > News > Here is everything on the season 2019 ! Esterel Caravaning, the first five-star campsite in the Var region, opens its gates on April 06th with many novelties. As usual Esterel Caravaning, about to enter its 43rd season, unveils the latest innovations. This year you can discover Esterel Beach, Esterel Caravaning’s beach… at 3 km from the beaches in Agay. Try to imagine 900 m2 fine sand, as white as in the Caribbean, magnificent palm trees to sit in the shade and admire the beautiful landscape. In front of the beach, not the blue of the Mediterranean, but the red rocks of the Esterel mountain range! 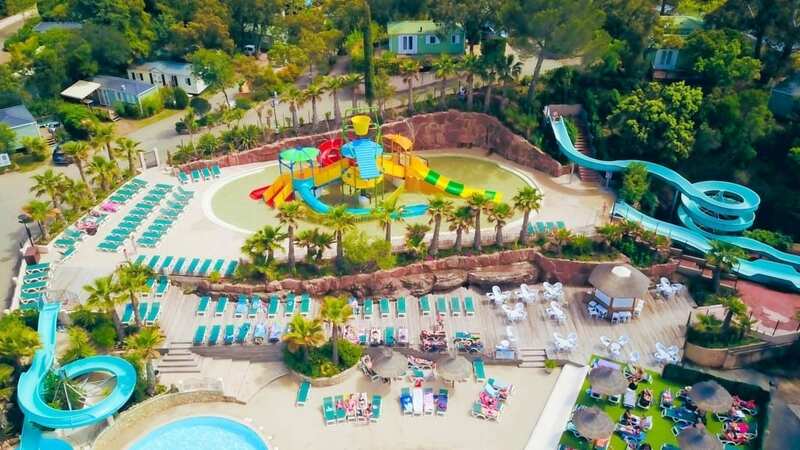 Feeling a little hot, Esterel Caravaning’s waterpark is only meters away with 5 swimming-pools and 4 slides, as well as 4 racer slides, to please the entire family. 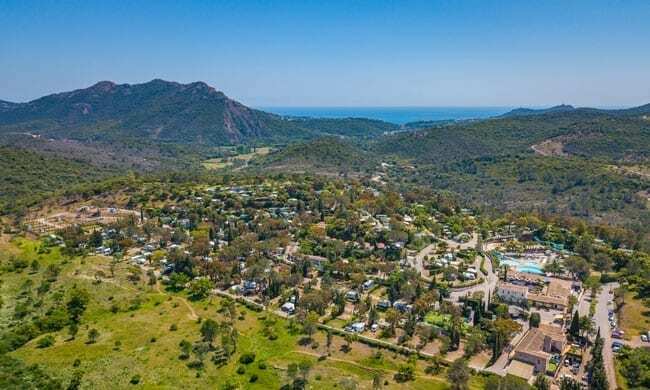 Regarding accommodations, Esterel Caravaning offers the ultimate in terms of touring pitches on 5 star campsites, for large caravans or motorhomes. Unique in Europe, our Imperial pitch with an amazing 200 m2 under the palm oasis. To please its holidaymakers, Esterel Caravaning thought about all details and offers a bathroom, private toilet, a kitchenette with fridge, dish-washer, washing-machine, a barbecue with lid, 2 loungers and above all : a private Jacuzzi for six persons, overlooking one of the most beautiful views of the Côte d’Azur.With the same care for perfection, the 14 Deluxe Prestiqe pitches with a surface of 100 to 180 m2 overlooking the Esterel mountain range and its red rocks. On these pitches : bathroom and private toilet, a kitchenette with fridge and 2 loungers. And of course a large range of mobile-homes, from 2 to 8 persons, featuring the VIP LUXE with private swimming-pool and the Premium with private jacuzzi.And let’s not forget the water park, an indoor pool for the little ones, a restaurant, a bar, entertainment for the entire family, sports … in the heart of the French Riviera, for unforgettable vacations.